This weekend I re-acquainted myself with an old friend: the Adobe Creative Suite. Oh, how I missed you! 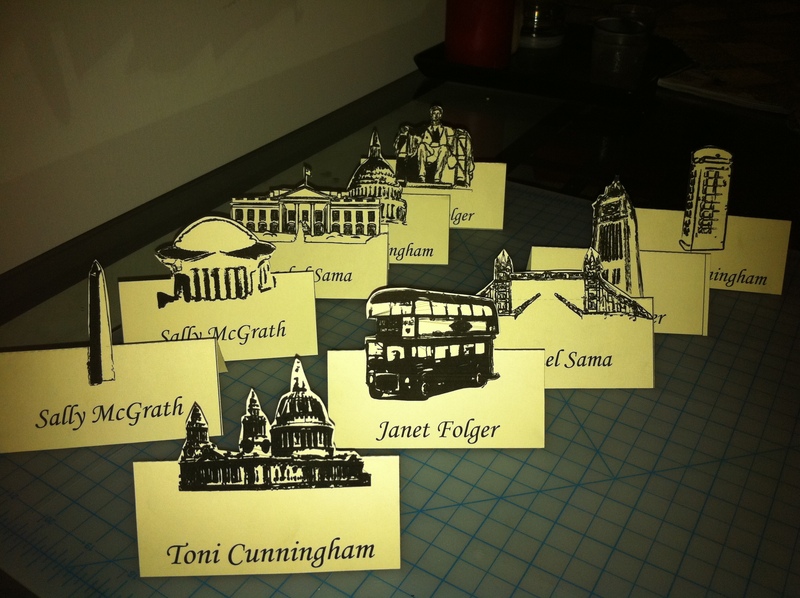 Check out the fun place cards I created for my wedding in October. My fiancée is from England and I am from DC, so each table will be a London or a DC landmark. For our table where our parents will be sitting, I was thinking of the union jack and the US flag, but then each of our parents will have thier respective flags and we’ll each have both. I’ve been dying for something fun and creative to make for the wedding and a good way to tie the London/DC aspect in. This project made me realize while I am fine in Illustrator, I need an Indesign refresher! I can’t wait to go back to American University (my alma mater) and take classes in the spring. Can you believe they let alumni audit any class for $100/semester?! Watch out GDES (graphic design class codes), here I come!